Field Sobriety Tests Category Archives — Massachusetts DUI Lawyer Blog Published by Boston, Massachusetts Criminal & DUI/OUI Defense Attorney — Stephen Neyman, P.C. True field sobriety tests are commonly referred to as divided attention tests. Their purpose is to see whether or not you can pay attention to some very basic rules while performing a simple physical task. If you have no physical limitations the tests assume that you can follow the directions and complete the test. If you are impaired the test will not be so easy to complete satisfactorily. True field sobriety tests are standardized and explained later in this post. However over the last twenty or so years Massachusetts police officer have become somewhat tricky in terms of how they administer field sobriety tests. They administer tests that are unreasonable and not approved by professional authorities. These tests are often developed by creative police officers who have no regard for proper “objective” procedures. In Massachusetts an experienced OUI defense lawyer will exploit the officer’s unfair actions. He will show the jury that the police officer’s conduct is unjust. The result is often an acquittal. Just about every OUI case that we handle in some way implicates the field sobriety tests. Most people know a little bit about these tests. Or, at least they think they do. Sometimes you see these being administered on the side of the road. Other times your friends who have been arrested for DUI tell you about their experiences taking these tests. You see them in the movies or on Internet videos, through Facebook, Google+ or YouTube. What you don’t know is that most of these tests are inadmissible in court. They lack scientific reliability. They are not probative of guilt and should never be mentioned in front of a jury. A good, experienced drunk driving defense lawyer is aware of this and will prevent the prosecutor from getting into this evidence at trial. What Field Sobriety Tests are Used in Massachusetts? This is a great question. Police officers attempt to administer about six separate tests in Massachusetts. In no particular order these are the horizontal gaze nystagmus (HGN) test, the walk and turn test, the alphabet test, the one-legged stand test, the finger to nose test and the counting test. The HGN test requires a police officer to observe the eyes of a suspect while the person follows a slow moving object with his eyes horizontally. The officer looks for certain reactions in the eyes that, if shown, can demonstrate alcohol impairment. The walk and turn test requires the suspect to walk nine steps, heel to toe, turn on one foot after the ninth step and repeat the process in the other direction. The one-legged stand test has the subject stand on one leg while holding the other leg six inches off of the ground for thirty seconds. The alphabet test and counting test are administered in several ways. The suspect can be asked to recite the entire alphabet or portions thereof. For example, he might be asked to start at “h” and end at “q”. The counting test is conducted similarly and may require the subject to count backwards. The finger to nose test asks the person to close his eyes and touch an area of the nose with one finger. What Field Sobriety Tests Are Admissible in Massachusetts Courts? The National Highway Transportation Safety Administration (NHTSA) has approved three field sobriety tests for use in court; the HGN test, the walk and turn test and the one-legged stand test. In order for the HGN test to be admissible in Massachusetts courts the prosecution must show that the test is reliable and that it was properly administered by someone qualified to do so. In other words, there must be expert testimony to support the admission of that evidence. The district attorney in this state is never able to do so. For reasons stated in the Massachusetts case of Commonwealth v. Sands, 424 Mass. 184 (1997), testimony relating to the HGN test is almost always excluded. The alphabet test, the counting test and the finger to nose test are not approved in the NHTSA protocol. Accordingly, it is the best practice for Massachusetts criminal defense lawyers to move for the exclusion of this evidence; unless of course the tests were performed satisfactorily. So that leaves only the walk and turn test and the one-legged stand test as admissible in Massachusetts. However, these are not usually given correctly and are subject to attack by the defense. The NHTSA has listed eight indicators of impairment that the police should look for when administering the walk and turn test and four for the one-legged stand test. I have never had a trial where the officer could list each indicator for each test thereby making his testimony on this subject very vulnerable to attack. Do I Have to Take the Field Sobriety Tests if I Am Pulled Over in Massachusetts? Absolutely not. Your refusal to take field sobriety tests in Massachusetts cannot be used against you at trial at all. As with a breathalyzer refusal, the prosecution cannot even mention it. Keep in mind that without field sobriety tests and without breathalyzer tests the only thing the prosecution typically relies on while prosecuting you is the subjective observations of the police officers. If you are properly represented a conviction becomes difficult if this is all the district attorney can use at trial. A recent article about a drunk driver found in Brookline caught my eye as a Massachusetts OUI criminal defense attorney. Wicked Local Brookline reported Nov. 15 about the arrest of Jason Andrew Jeffrey, 32, for drunk driving. Jeffrey was arrested after he narrowly avoided crashing into a Brookline police officer at 3:15 a.m. on the morning of Nov. 14. The officer was passing the Reservoir MTBA station, when he heard a woman screaming and saw another vehicle speeding directly toward his police cruiser at high speed. The officer said he feared for his life as he braked hard and steered to the right to avoid the car. The other driver swerved to the left, narrowly avoiding the police cruiser. When the car pulled into the MTBA station’s parking lot, the officer pulled in front of the driveway to prevent the driver from leaving. He discovered Jeffrey in the driver’s seat and an unidentified woman in the passenger seat. The woman, who was the owner of the car, apologized profusely while Jeffrey said nothing. Before being asked, Jeffrey declined to take field sobriety tests. He later changed his mind and attempted to take the tests, but the officer said he could not complete them. He also did not have a driver’s license. He was arrested on multiple counts including OUI, driving without a license, driving on the wrong side of the road and driving to endanger. He also had an outstanding warrant for an offense the article did not specify. This article describes behavior that is unlikely to go over well in public, and Jeffrey would be well advised to hire a Massachusetts drunk driving criminal defense lawyer. But as an OUI attorney myself, I’d like to point out that Jeffrey was actually within his rights to decline the field sobriety tests, and in fact may have benefited from not attempting them. As I’ve written here many times before, field sobriety tests are not reliable indicators of whether a driver is actually intoxicated. There are just too many ways for health problems, weather conditions, road maintenance and many other factors to interfere. In fact, the Massachusetts Supreme Court has ruled that one of the tests — the horizontal gaze nystagmus, in which drivers follow a finger or pen with their eyes — is not admissible as evidence unless it’s administered by a qualified person. This more or less eliminates it as evidence for an OUI. The federal Department of Transportation has also handed down reliability guidelines for field sobriety tests, which can be used in court to discredit tests that don’t meet standards. Perhaps even more importantly for Massachusetts drivers, the state Supreme Court has also ruled that prosecutors can’t use your refusal to perform field sobriety tests as evidence against you. This means there are no direct consequences for declining field sobriety tests, as Jeffrey originally did. Now, this is not to say that declining is always the right choice. For one thing, drivers who don’t want to perform field sobriety tests should say so more politely than Jeffrey did, because making a police officer angry is unlikely to benefit them. And if you believe you can perform the tests without a problem, you should consider performing them. After all, performing the tests well may convince the officer that you’re not drunk, allowing you to end the traffic stop and move on with your day. But if you don’t feel that you’re likely to pass them, for any reason, you should know that you have the option of declining without having it brought up in court later. Police officers rely heavily on field sobriety tests when they suspect a driver of being intoxicated. Unfortunately, as a Massachusetts drunk driving defense attorney, I know that there are serious problems with these tests, and I use those problems as an element of my clients’ defense whenever appropriate. The appeal of field sobriety tests is clear: Drunk driving is dangerous and law enforcement agencies need easy-to-use, scientifically and legally valid ways of identifying drunkenness. Unfortunately, the field sobriety tests that are most commonly used in Massachusetts aren’t as reliable as they should be, and may not be administered properly. This means that completely innocent drivers who haven’t even had one drink can sometimes be arrested for driving under the influence of alcohol. The National Highway Traffic Safety Administration (NHTSA) recommends three specific field sobriety tests — the horizontal gaze nystagmus test, the walk-and-turn test, and the one-leg-stand — as the most reliable ones for police officers to use. The NHTSA says that police officers who use all three tests on a suspected drunk driver have a 91% chance of making the right call as to whether or not the driver is actually drunk. In what the NHTSA views as the most accurate one, the horizontal gaze nystagmus test (or “jerking eyeball test”), a police officer asks a driver to follow a small flashlight side to side with his or her eyes. 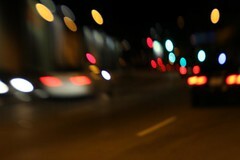 If the driver is drunk, his or her eyeballs shake as they look to the side. The walk-and-turn test is similar to walking a balance beam back and forth on a straight line. And the one-leg stand involves perhaps the greatest physical challenge of the three: drivers are asked to stand still with their arms at their sides, raise one leg six inches off the ground while keeping it straight and pointing at their toes, looking at their raised toes, and count forward from 1,001. Swaying, raising arms for balance, hopping, putting the foot down, or starting to count before the police officer tells them to can all be viewed as signs of drunkenness. Besides the tests’ scientific faultiness, they can also falsely identify as drunk people who just have medical issues. Balance disorders affect 40% of Americans at some point in their lives, and dizziness and vertigo are the third leading cause for visits to doctors. The older you get, and the heavier you get, the worse your balance. For an aging population with a growing number of overweight and obese people, the one-leg stand test sounds like a pretty ineffective gauge of whether someone is drunk. This is why it’s important for anyone facing OUI charges to contact a Massachusetts intoxicated driving criminal defense lawyer immediately. Experienced OUI defense attorneys know how to legally challenge unreliable field sobriety tests and get that evidence thrown out, which can get the charges dismissed or help win a not-guilty verdict. Anyone accused of a crime with serious penalties like OUI should avail themselves of the expertise of a criminal defense lawyer like Stephen Neyman. In recent months, there have been a number of reports warning the public not to consume caffeinated energy drinks with alcohol, like Red Bull with vodka. For example, this study reported on a CNN blog June 8 showed that student athletes were more likely to binge-drink if they mixed the alcohol with caffeine. In fact, the Scottish arm of the UK’s Labour Party is considering a ban on alcoholic drinks with a certain percentage of caffeine. Studies have indicated that people consuming caffeine with alcohol feel less drunk even though they actually are often more drunk than people who have been drinking alcohol without caffeine. This is because as alcohol is metabolized, it reduces glucose available to the brain, which makes you feel tired. But when caffeine is added to the mix, it masks the tiredness with its stimulant properties, so people don’t recognize how drunk they are. However, as a Massachusetts intoxicated driving defense lawyer, I was fascinated to read that studies have also shown that caffeine can have a “synergistic” effect with alcohol. British researchers reported in “Interactions of Alcohol and Caffeine on Human Reaction Time,” Aviation, Space and Environmental Medicine 528 (June 1983), that “Caffeine has a synergistic interaction with alcohol…(It) has the effect of potentiating the detrimental effects already induced by alcohol….Motor skills which involve delicate muscular coordination and accurate timing have been found to be adversely affected by caffeine.” That means caffeine can increase the symptoms of alcohol intoxication — not counteract them, mask them, or help you to “sober up.” In essence, it makes people seem more drunk than they really are. This is important for a Massachusetts OUI defense attorney like me to know about, because it could provide an avenue of defense for clients charged with intoxicated driving. For someone pulled over by the police for drunk driving, this means that their performance on a field sobriety test could perform worse than they would have without the caffeine. The caffeine would make them shakier and less able to perform the field sobriety tests than the alcohol alone would have left them. Field sobriety tests are supposed to provide evidence of whether a person is intoxicated, by demonstrating whether they can perform tasks such as “walk-and-turn”, “finger-to-nose” and “one-leg-stand.” These tests are not always possible for people who are haven’t even consumed any alcohol to perform perfectly, so the tests’ accuracy is less than ideal. For example, the test results can be affected by a person’s age, weight, athletic ability, emotional state, fatigue, and lack of familiarity with the tests. They can also be affected by conditions including passing traffic and by the police officer’s communication skills. With the addition of caffeine, the test results could make the person appear to be drunker than he or she really was, and the person would be more likely to get arrested. The holidays are upon us — and with them come a lot of parties and family gatherings that offer opportunities to drink. Police agencies are very aware of drunk driving during the holidays, and they tend to step up their enforcement efforts on the days they believe people are most likely to drive drunk. In fact, according to a Nov. 6 article in the Woburn Advocate, the Massachusetts state police have already started. In that article, they announced a sobriety roadblock in Middlesex County on Friday, Nov. 13 and Saturday, Nov. 14. In my experience as a Massachusetts OUI defense attorney, drivers can expect to see more of these roadblocks, particularly on the nights before and after major holidays. That’s why I would like to take a moment to explain the rights of Massachusetts motorists caught in a sobriety checkpoint. A sobriety checkpoint is essentially a roadblock in which law enforcement stops motorists to check them for signs of impairment by alcohol or drugs. It is completely legal for law enforcement to stop every driver, regardless of whether there’s evidence of intoxication, and detain them briefly. However, roadblocks in Massachusetts must be conducted according to guidelines created by the Massachusetts Secretary of Public Safety and in accordance with Massachusetts case law and state and federal constitutional guidelines. If the police fail to adhere to those guidelines, the entire stop and all of the evidence it produced may be thrown out of court, ending any drunk driving prosecution. It’s also important for drivers to realize that all of their civil rights still apply at a sobriety checkpoint. Drivers must provide license and registration, but they are under no obligation to answer extra questions about where they’ve been, where they’re going or whether they were drinking. They also have the right to decline to allow a search of the vehicle. Police cannot search a vehicle without your permission unless they have probable cause. Drivers can legally decline to perform field sobriety tests and may also decline a breath test, although they will face an automatic license suspension if they do so. However, it’s important to decline all of these things as politely as possible, because bad blood with law enforcement officers can result in being unreasonably verbally abused, detained or arrested. An experienced Massachusetts drunk driving defense lawyer can help clients have unreasonable, illegal charges dismissed — but not before an arrest, night in jail and other unpleasant personal and financial consequences.